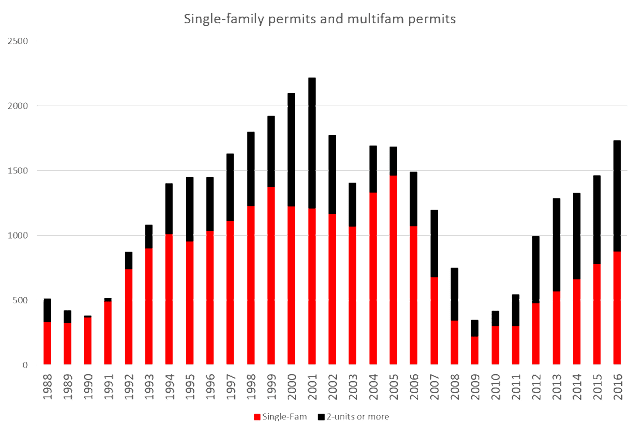 As demand for both apartments and for-sale housing grew after 2009, we saw gradual increases in permit activity, and the permit total is now at a 14-year high. 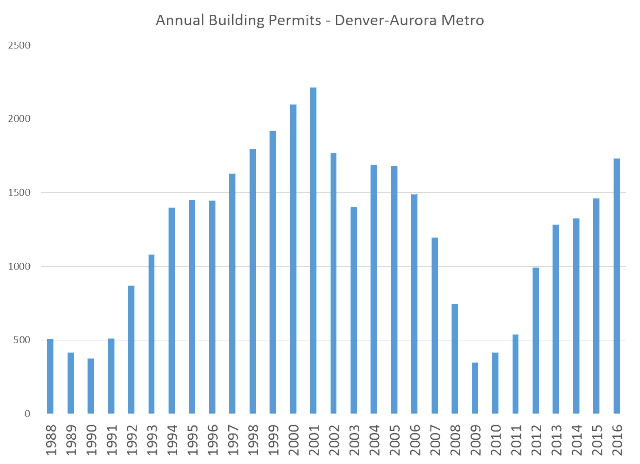 Permit totals have not been this high since 2002 when they reached 1,770. 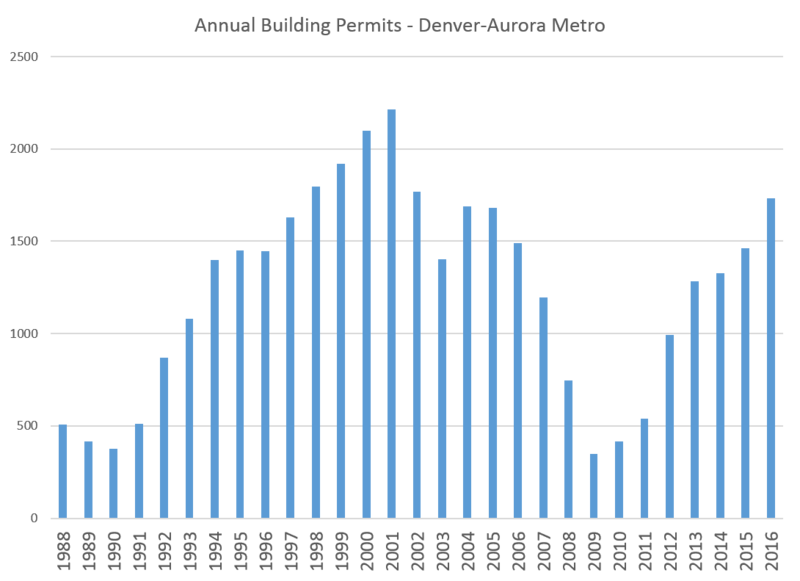 The composition of the permit total is very different today from what it was prior to 2007, however. 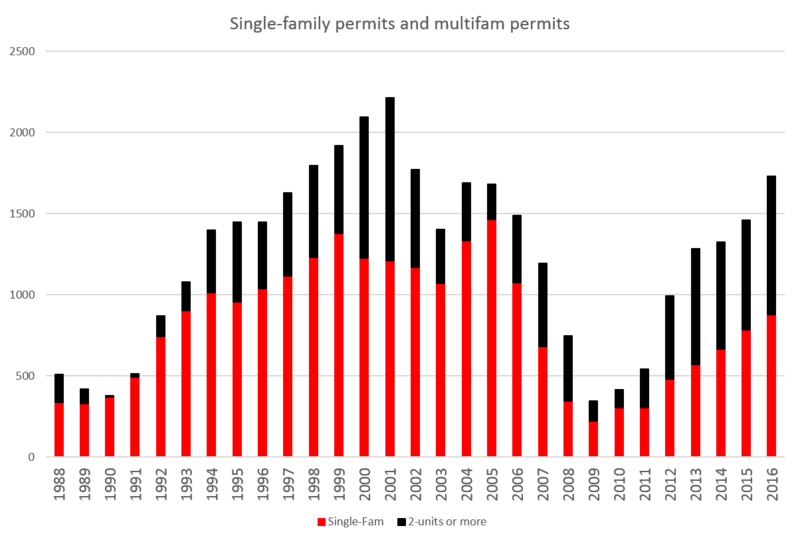 As we see in the next graph, prior to 2007, the total number of single-family permits greatly outnumbered the number of multifamily permits. 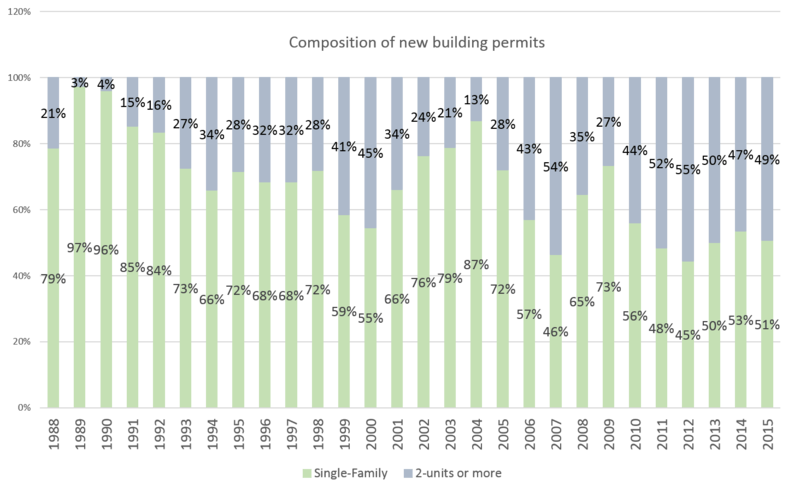 Since 2011, single-family and multifamily permits have been rather similar, with multifamily permits even exceeding single-family permits in 2012 and 2013. We can contrast this to the situation before 2007 when the very large numbers of new single-family permits from 1998 to 2005 were a factor in what became sizable declines in home prices from 2008 to 2010 that only made a quick turnaround on the back of massive federal monetary and fiscal stimulus in the wake of the 2008 financial crisis. 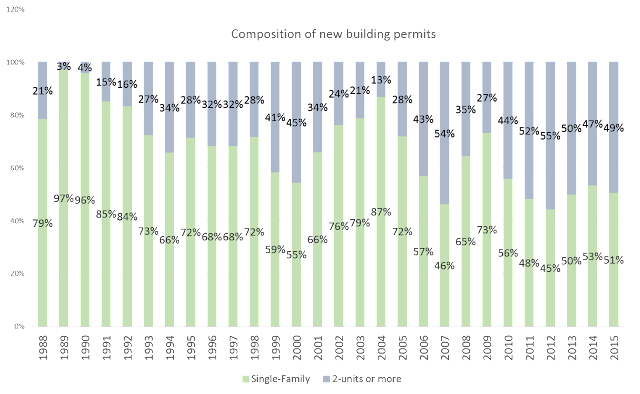 Since then, the single-family market has remained well below its former peaks even though population growth continues as a sizable rate in Colorado. 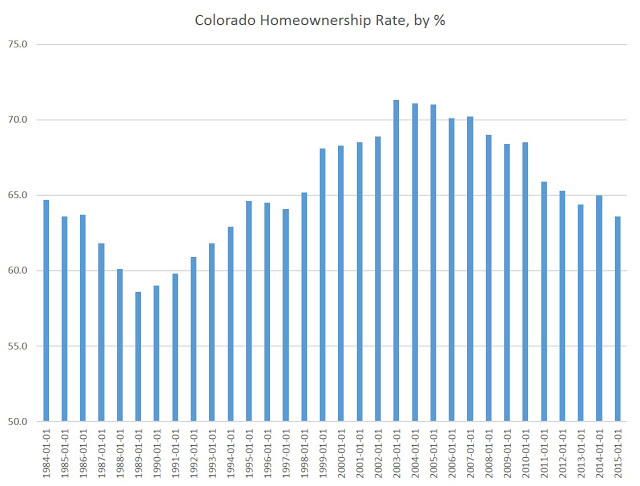 Moreover, we see this show up in the homeownership numbers in Colorado. due in part to the boom in apartment building that has taken place since 2012, homeownership has gone into decline over the past decade. While homebuilders were quickly adding new supply, we saw the homeownership rate sit as historic highs above 70 percent. .
Now, the housing focus has shifted more in the direction of multifamily, but overall permitting has rebounded to 80 percent of where it was at the 2001 peak. Nevertheless, continuing growth in both home prices and rents suggests that there is still room for more housing production.